With the advances in medicine, small parts are often manufactured for less-invasive procedures. These small parts require quality assessment prior to use. A customer recently approached us with the need to view a needle tip that was 5 microns in size. Microscope World configured a system that involved using a microscope camera on a video microscope with a 20x metallurgical objective lens. 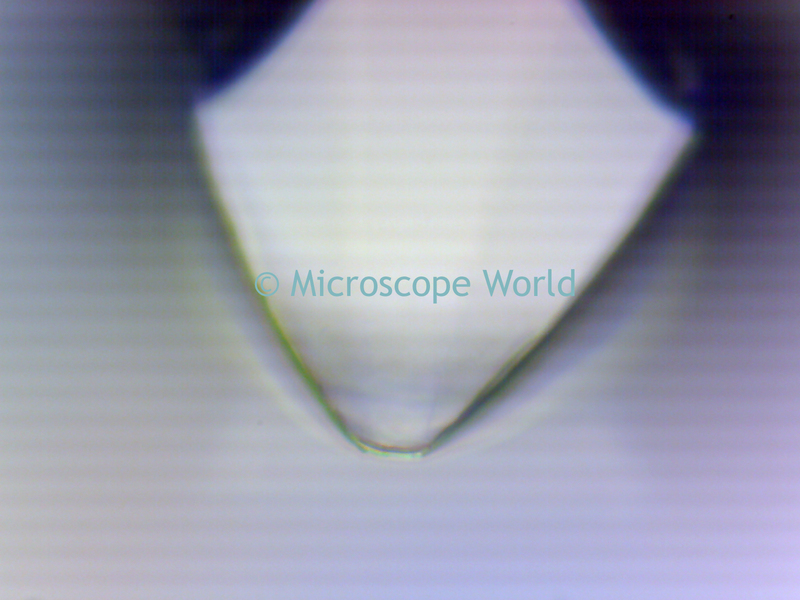 The needle tip under the microscope system.